Have you ever had a time when you stepped way out of your comfort zone? Something you really wanted to do but the power of embarrassment or making a fool of yourself held you back. Many a time I have been faced with the opportunity when I could have stepped through the door but the "Cautious Cate" inside me stopped me. Luckily as I have gotten older "Cautious Cate" has not shown up as much in my life. The photos below were one such time when I stepped through the door and didn't worry about what people thought of me. It was while we were travelling along the West Australian coast. 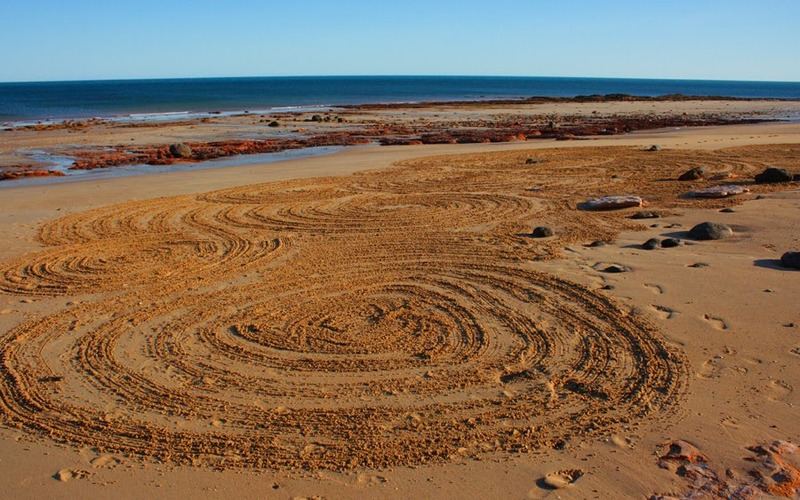 We were camping on a cattle station on the coast and I had the thought that if I headed down to the beach very early in the morning, before any foot prints were in the sand and while the tide was out I may just be able to create some art. So I headed down with a steel rake (getting it is another story!) 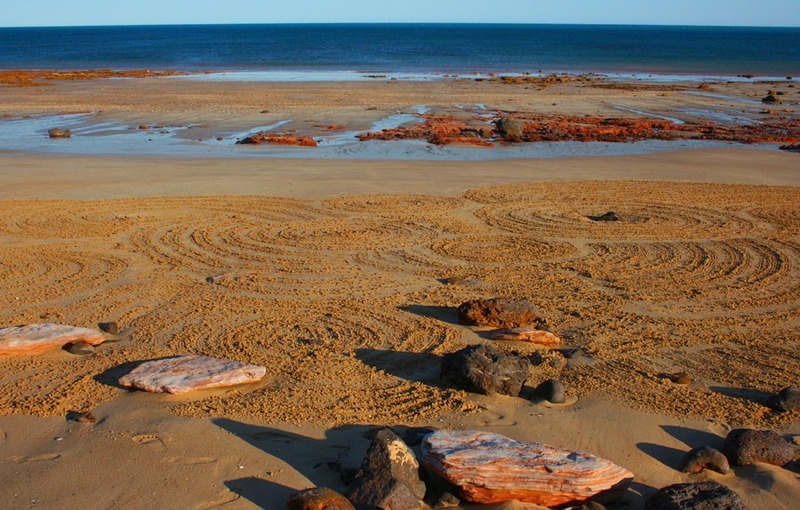 and drew circles in the sand. 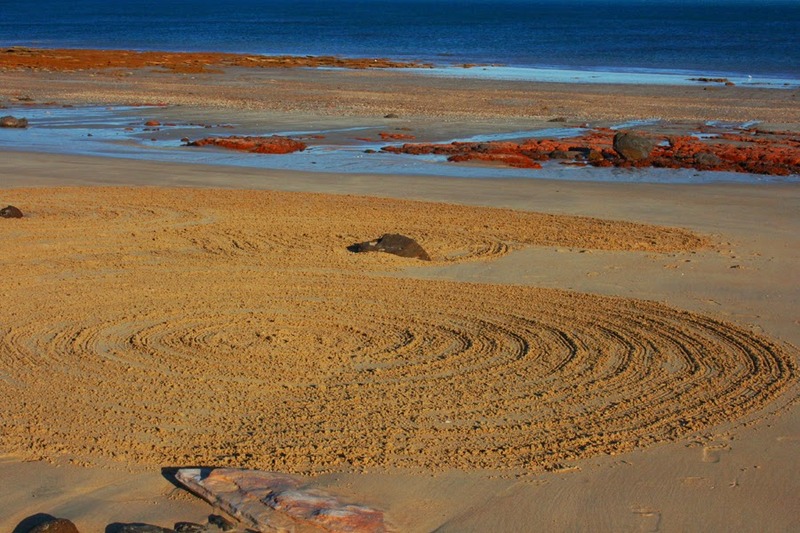 After about an hour of doodling I had created some huge mandala circles in the sand. I had such a sense of satisfaction. When I turned around to head back to our camp I noticed I had an audience. At first a little bit of embarrassment crept in but then I thought "bugger it" I have had an amazing morning!!! When have you stepped through that door? Has there been a time when you wished you had? Is there anything you would really love to do but your "Cautious Cate" has stopped you?